Steven Andrews Engineering was retained by Tract 180 Water Company to design a new 8 inch PVC water main pipeline. The project is located in the City of Cudahy, CA within street right of way along Clara Street between Atlantic Avenue and River Road. Steven Andrews Engineering prepared construction plans and specification for the installation of a new 8 inch C900 PVC pipe along Clara Street between Atlantic Ave and River Road totaling approximately 4,678 lineal feet. The project included the abandonment of existing 6 inch water main in place that was located outside of street right of way and relocation of existing water meters to be with in street right of way. Asphalt repair and street resurfacing was per City of Cudahy Street Guidelines and Standards. Steven Andrews Engineering also provided assistance during bidding and construction activities. Steven Andrews Engineering was retained by the Laguna Beach County Water District to design a new pipeline that would replace a temporary HDPE water main that was previously installed along Phillips Road. The project is located in the City of Laguna Beach, CA on a private road leading up to the Platz Reservoir. Steven Andrew Engineering prepared construction plans and specification for approximately 960 lineal feet of 12 inch C900 PVC pipe along Phillips Road connecting to the existing Platz Reservoir. Project also included the removal and disposal of an existing above ground 8” HDPE pipe, and modifying the reservoir inlet connection piping. Steven Andrews Engineering was retained by the Watson Land Company to design a new 24″ PVC Domestic Water Main. The project is located in the City of Ontario, CA with the main portion of pipeline located along Bon View Street. Steven Andrews Engineering prepared construction plans and specifications for the construction of approximately 9,600 lineal feet of 24” PVC C905 domestic water main within street right of way. The pipe tied into an existing 24 inch pipeline on Merrill Avenue and terminated at the Eastside Water Treatment Facility. The pipeline project consisted of the installation of inline valves, blow off valves, combination air vac valves, thrust blocks, fire hydrants and street pavement replacement. Steven Andrews Engineering was in constant coordination with City staff and contractor to have this pipe line installed in time for the Eastside Water Treatment Facility to be operational. Steven Andrews Engineering provided management support during bidding and construction. 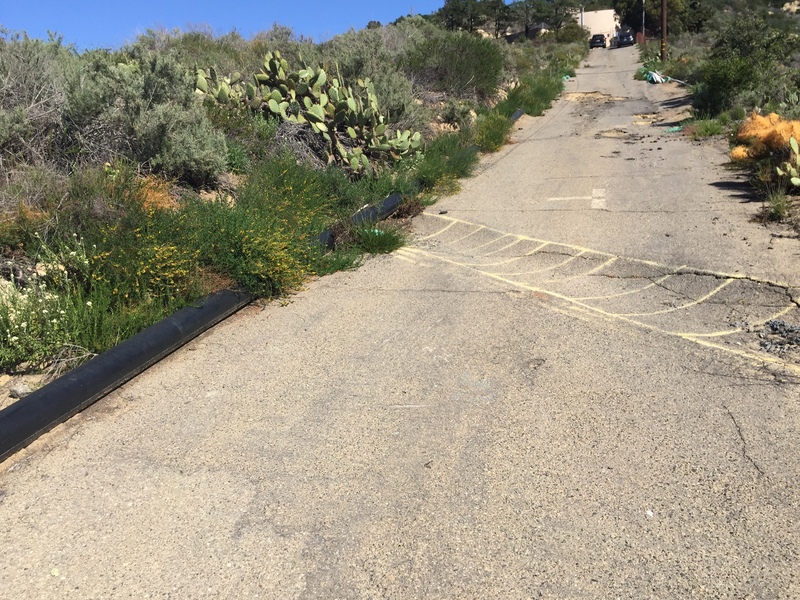 Steven Andrews Engineering was retained by the City of Signal Hill to prepare construction plans for improvements to their existing waster system. The project included four task: Task 1 was a water connection in Reservoir Park to the City of Long Beach, Task 2 included 6” valve and fire hydrant repair and replacement between Willow Street to Burnett Street, Task 3 included the replacement of a broken 6” valve on a hydrant tee and installing a valve cluster on the existing hydrant, Task 4 included the replacement of a broken 6” valve on an existing fire hydrant located at Temple Street and Combellack Street. Steven Andrews Engineering was retained by the Marygold Mutual Water Company to prepared construction plans and specifications for the construction of a 14-inch service connection that would provide the required water to the Kaiser Permanente Fontana Medical Center. The project is located in the City of Bloomington, CA. The design included a 14”x10” manifold connection for three (3) 4 inch meters placed inside a precast concrete vault located in the parkway along Valley Blvd street right of way including a small retaining wall around the vault.